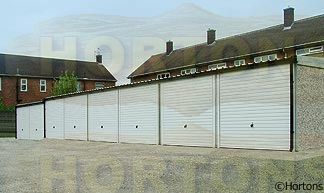 Lidget Concrete Ltd. has constructed many types of battery garage arrangements throughout the UK Mainland. This work has been undertaken for various organisations including Local Authorities, Ministry of Defence Departments, Housing Associations, Property Developers as well as private individuals. Operating within our Specialist Building Division Lidget Concrete™s proven approach of listening to what the client requires, then designing and building to budget and specification, has won us a considerable amount of repeat business.